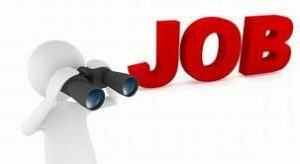 Want to apply for Meghalaya Deputy Commissioner Recruitment 2018? If yes, then check this page and grab the complete information from this article. The officers of the Deputy Commissioner Meghalaya had invited the applications for the 20 District Coordinator posts. From this page, you can easily get the entire notice about the उपायुक्त मेघालय Jobs, Eligibility Criteria, Application Form, eastkhasihills.gov.in Pay Scale, Selection Procedure and also the applying procedure for the Job Vacancies 2018, important dates for the openings. Furthermore, you can apply offline for the Meghalaya Deputy Commissioner Recruitment 2018. Competitors can also find the direct link to download the Official Advertisement which is available at the end of this page. Well, all the candidates who are going to apply for the Meghalaya Deputy Commissioner Recruitment 2018 must focus more on this article. Furthermore, the officials of the Deputy Commissioner Meghalaya had not yet declared the actual date for the test. So, you should stay constant with this page to know the updated stuff. We assure that you can get the appropriate details which are given by the officers of the conducting authority. And also you can apply offline for the opened District Coordinator Vacancies. We will update soon about the exact date in this article when once the officers publish the notice on their web portal. Educational Qualifications – Interested aspirants those want to apply for the Meghalaya Deputy Commissioner Recruitment to get the opened District Coordinator posts should have completed Degree or Diploma or Master Degree from Recognized Board or from the University. Candidates must refer to the Official Notification for the post-wise Eligibility Criteria. Age Limit – Candidates should have the age limit as per the rules and norms of the organization. Refer the Official Advertisement for any information regarding the age relaxation. All the candidates who are applying for the Meghalaya Deputy Commissioner Recruitment 2018 must pay the application fee as per the Official Notification. The selection procedure for the Meghalaya Deputy Commissioner Recruitment 2018 is the Written Test followed by the Personal Interview. Moreover, based on the performance of the candidates, the officials of the organization will give the hike. District Coordinator – INR 30000 per month. District Project Assistant – INR 18000 per month. Block Coordinator – INR 20000 per month. Block Project Assistant – INR 15000 per month. To Apply for the Meghalaya Deputy Commissioner Recruitment 2018, candidates should follow the below-given guidelines to complete the process. Contenders should cruise to the official website of the Deputy Commissioner Meghalaya @ eastkhasihills.gov.in. Now the home page of the organization appears on the screen. Up next, scroll down the page and observe the “Latest News” section. In that, click on the “Advertisement on POSHAN ABHIYAAN” link. Open the notification, read all the information stated on the page. Instantly, download the prescribed format of the Application Form. Then fill all the details mentioned on the page and then attach the passport size photograph on it. At last, the application forms duly filled along with 2 (two) attested passport size photographs, and the certified copies of certificates and self-addressed envelope size 4×1 may be submitted to the address as mentioned below. Grab all the information about the Meghalaya Deputy Commissioner Recruitment 2018 from the article. You can check our Sarkari Naukri website for any such latest stuff, government jobs, admit cards, syllabus, previous papers, results and also the interviews etc.